Groysman says Ukraine must fulfil its obligations and be predictable. Ukrainian Prime Minister Volodymyr Groysman is convinced that a new program of cooperation would spur a more effective cooperation with the International Monetary Fund. "As a prime minister I would I like to start a new program and conduct a dialogue on a new program. I reckon this would be the most effective way to create an action plan for our work," Interfax-Ukraine quoted Groysman as saying on 7 July at the investment conference organised by Dragon Capital in London. At the same time, he stressed that Ukraine must fulfil its obligations and be predictable. In March 2015, the IMF opened a four-year program EFF for Ukraine with a total volume of SDR12.348bn (about 16.75bn dollars at the current rate) with the first tranche of 5bn dollars. Initially, it envisaged a quarterly revision of the program and the allocation in 2015 of three more tranches of SDR1,18bn (about 1.6bn dollars) and a decrease in quarterly tranches in 2016–2018 to SDR0.44bn 0.6bn dollars). Ukraine received a second tranche with a short delay of 1.7bn in early August 2015, after which there was a long pause in connection with the failure of a number of conditions, a political crisis and a change of government. After the arrival of the new Cabinet headed by Groysman in April 2016, talks on the continuation of funding were resumed, but the IMF decided to allocate a third tranche of 1bn dollars only in mid-September, the fourth – on April 3, 2017. According to the new schedule, three revisions were planned by the end of 2017: the fourth in mid-May, the fifth in mid-August, the sixth in mid-November. 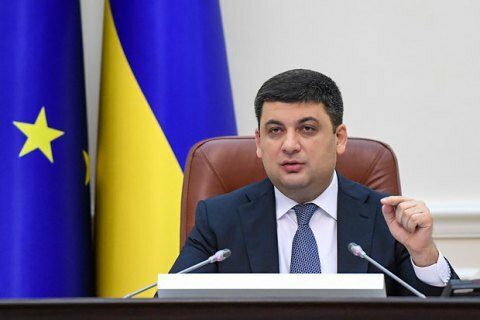 If the authorities successfully meet the requirements set by the program, Ukraine may raise 1.907bn dollars following the results of the fourth revision, 1.28bn after the fifth revision, and 1.28bn in the sixth, 4.46bn dollars in total. In 2018, the next four revisions are planned, following which Ukraine can attract about 955mn dollars. In all - about $ 3.82bn.